In 1876, a man by the name of Nic. 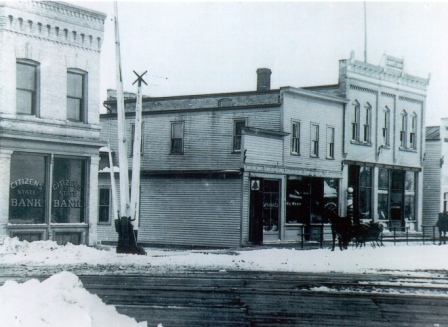 Marx opened a simple grocery store and saloon in Kewaskum at the young age of 25. His business was located two buildings to the west of the railroad tracks on the south side of main street. By the year 1901, Marx was selling groceries, flour, feed, and oysters, along with cigars, wine, and liquor in his neighboring saloon. Being located near the railroad tracks, it was often that as the train was at the depot to unload luggage, passengers would often leave the train, and run over to the store for a small snack. Soft and hard coal were also stored and sold out of the bins located behind the Citizens State Bank next door. In the year 1911, his son, John, succeeded Nic. John Marx continued to operate the store at this location until the year 1926. At this time Marx decided to join the newly formed Independent Grocers Alliance (IGA) and move to the neighboring building previously occupied by the Citizens State Bank. Marx would now operate under the name John Marx IGA. Along with help from his son Harold ("Mixie"), John Marx sold a full line of boxed, jarred, and canned goods, and in later years he also added fresh produce, and a limited selection of refrigerated and frozen items, along with a wide variety of IGA brand items. 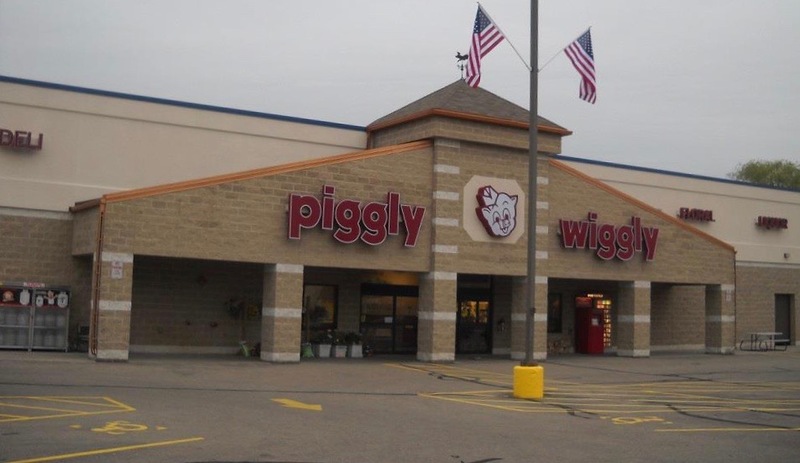 In the year 1936, after being released from the Major League Baseball tryouts in Lake Wales, Florida, "Mixie" came back to Kewaskum to work for his father full-time at the store. Harold was dubbed "Mixie" as a young man, not from his baseball days, but rather from the hard candies he would "mix" at the store. Here "Mixie" worked stocking shelves and delivering groceries. After marrying Eleanor Hron in 1939 and starting a family, Harold, accompanied by his daughter Judy, would go to the Godfrey Co. warehouse on Thursdays to get a few kinds of vegetables and fruit to sell at the store that weekend. Weekly trips were also made to State St. to candle the eggs bought from the local farmers. Later the coal bins in the back of the store were converted to storage units and rented for $5.00 a month by Marx. On Friday movie nights in Kewaskum, local residents would go from store to store signing up for prize drawings. On these busy nights an employee would run the only register in the store, while Eleanor ran a till out of a cigar box with some cash inside to make change. 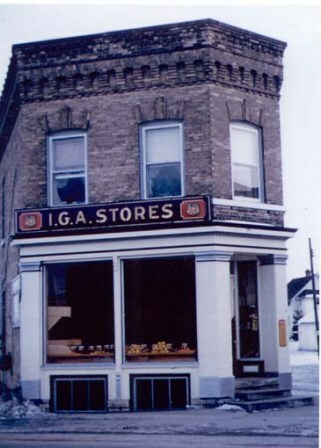 On January 1, 1956, Harold and Eleanor purchased the business from John, to begin the third generation in the business to form Marx IGA. Here with employees such as Frances Van Blarcom, Meta Heimermann, and Norbert Rohlinger, along with Marx's children Judy, Jim, Sue, and Mary, the Marx's continued to serve the community at this location. In the fall of 1961, Harold and Eleanor went ahead with plans to purchase the existing seven buildings across the street belonging to the H.J. Lay Lumber Company. As the site was cleared and a new structure started to emerge, this was the beginning of Marx's IGA Foodliner. With the Marx's working around the clock cleaning coolers and shelves and with "Mixie's" bowling team helping stock the new store, the new store was finally ready for business. Opening on Harold's birthday, January 24, 1962, Marx's IGA Foodliner was the newest and largest grocery store in the community. 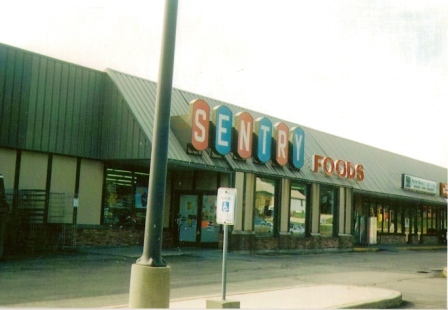 With continued success and a growing business, Marx made the decision in 1965 to remodel the inside of his store and change the store name to Marx's Sentry Foods. With a Crestwood Bakery and a new interior Sentry's familiar name was an asset to Marx's business. After 20 years of ownership, Harold and Eleanor sold their business in 1976 to their son-in-law and daughter, Bill and Judy Geidel. This change in ownership marked the beginning of the fourth generation in the grocery business. The Geidel's operated here for six more years until October of 1982, when they acquired the lease on the existing Shop Rite in the Kewaskum Mall. After some remodeling, the business grew to its fourth building and opened for business on November 17, 1982. This move marked the first time the business operated off of Main Street since its beginning 106 years ago. 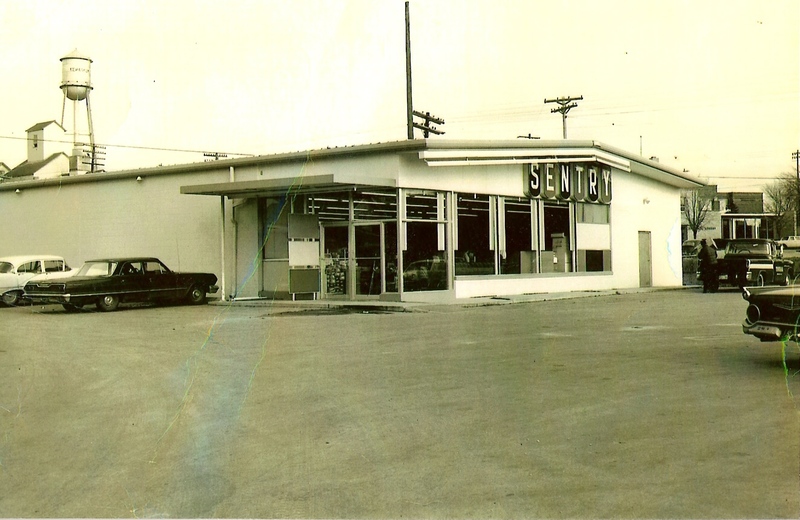 Now a full service grocery store including a full deli department, Sentry soon grew to be the only store in Kewaskum. This business operated in Kewaskum until Bill and Judy's retirement on June 18, 2000. 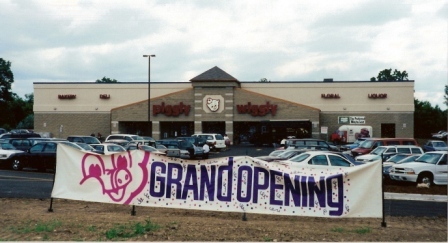 After months of planning and preparation, the Geidel's opened their brand new Piggly Wiggly on June 22, 2000. Beginning a new era and century under 5th generation ownership and management, Mike Geidel and his staff are proud to serve Kewaskum and it's surrounding area. With over 26,000 square feet, their new store is the only full service grocery store in Kewaskum.